The japanese are sowing civil unrest! Jones Act made pr part of the US. No vote on the island. People complaining about Sophia's valleygirl "like", nary a word about Chris' "rightrightright". 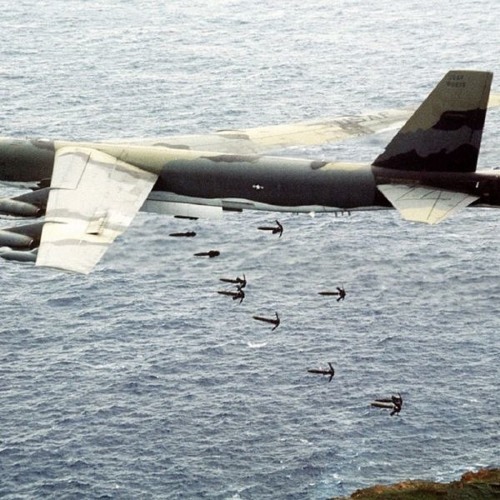 The jet bomber in the photo is a Boeing B-52H, which is only operated by the US Air Force. Get some old Grumman A-6 Intruder photos, Chris! They also drop those bombs with airbakes, which is what that BUFF is dropping.